A woman named Rehana Yasmin struggles to keep her sick 2-year-old granddaughter cool in a sweltering hospital where working air conditioners are rare and electric fans are idle for much of the day. Elsewhere, households can’t rely on their refrigerators, and at textile factories, factory workers say they can’t operate their machines for enough hours to earn their daily bread. All are victims of Pakistan’s biggest problem, one that recently brought down a government — not the U.S. drone war in its backyard, not its permanent confrontation with India, but its inability to generate enough electricity. Pakistan, nuclear-armed, can’t deliver a reliable power supply to its 180 million citizens. “Power, power, power is the problem. It’s power at home, in the workplace, on the streets,” said Rizwana Kauser, head nurse at the hospital in the city of Gujar Khan, about 40 miles (65 kilometers) from the capital, Islamabad. Power can be out for up to 20 hours a day in the summer. TV coverage may be lost in the middle of a cliffhanger cricket match. Office meetings are scheduled around anticipated power cuts. Without electric fans, mosquitoes proliferate. People get stuck in elevators. Meat rots in refrigerators. The shortfalls that became the top issue in the recent election are estimated at 3,500 to 6,000 megawatts — up to a third of total demand. The problems result in part from bad bill-collecting, which leaves utility companies short of funds to pay for the oil that powers much of the production, which in turn means the state oil company can’t buy enough oil on international markets. Power theft is rampant, often consisting of simply slinging a hook over a conveniently placed electricity wire. 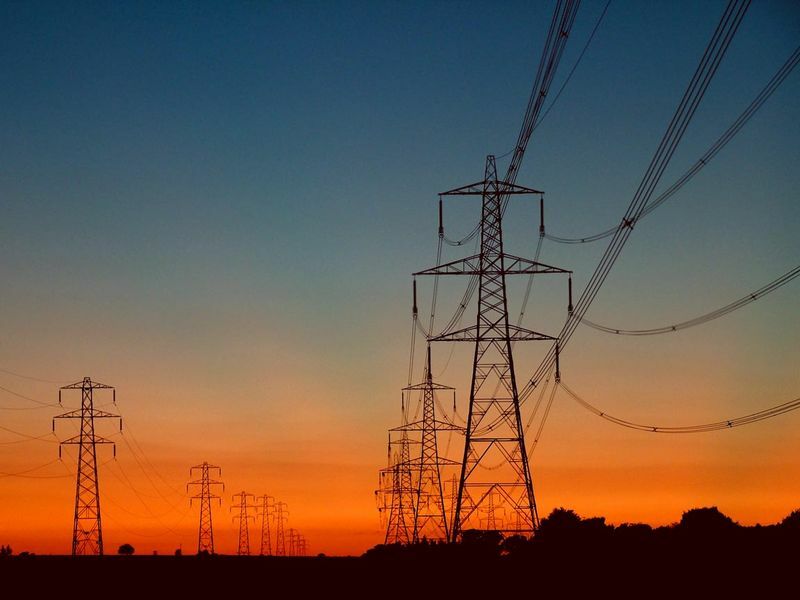 The infrastructure of the state-controlled utility companies around the country is outdated, the companies are inefficient, and power plants are heavily dependent on oil despite Pakistan’s abundant coal resources, experts say. Fixing the problems is likely to take years, leaving Nawaz Sharif, the new prime minister, with a gargantuan task. But with Pakistanis impatient for action, the government has announced plans to pay off about $5 billion owed to companies throughout the supply chain within 60 days. It’s not a long-term solution but it would at least offer the government some breathing room. And that’s just to keep the electricity flowing. Pakistan also has a problem with delivering natural gas to households and companies, and that too will need solving if the new government hopes to last. For Rehana Yasmin, relief can’t come too soon. She has been at the public hospital in Gujar Khan for a week, tending to her granddaughter who has dysentery. She brings her own water because there’s no electricity to run the pump of the hospital well. She buys homemade straw fans hawked in the hospital’s hallways. Public hospitals like the one in Gujar Khan, which care for the majority who can’t afford private hospitals, generally draw power from two grids, but nowadays, especially in the hot months, there’s sometimes no electricity coming from either grid. The hospital uses a generator during operations, but sometimes has to resort to ice to keep medicines cool. In the past, power cuts (“load-shedding” in Pakistani bureaucratese) used to be much shorter and followed patterns that allowed people to plan such routine activities as scheduling an office meeting or taking a shower. But it was the newer phenomenon of “unscheduled load-shedding” and the much longer outages that raised tempers to the level of an election issue. Dr. Ashraf Nizami of the Pakistan Medical Association said that doctors are seeing more psychological effects of load-shedding, such as stress and depression. “It is a torture for the medical community and the patients,” he said. It’s also bad for business. The looms in one of Waheed Raamay’s workshops are silent and soon to be sold as scrap metal. This workshop, a graveyard as Raamay calls it, is a sign of how the electricity crisis hurts Pakistan’s economy. “This is not just the story of this single factory. There are dozens of factories in this particular area, and there are hundreds of factories in this city that have closed down due to this power crisis,” said Raamay. Faisalabad, the third-largest city in Pakistan with a population of about 2.6 million inhabitants, is known for its textiles. But from the low-end workshops that produce for the domestic market to the warehouse-sized factories that export sheets and pillowcases to international chains, that industry is hurting — badly — as a result of the electricity crisis, say workers and factory owners. 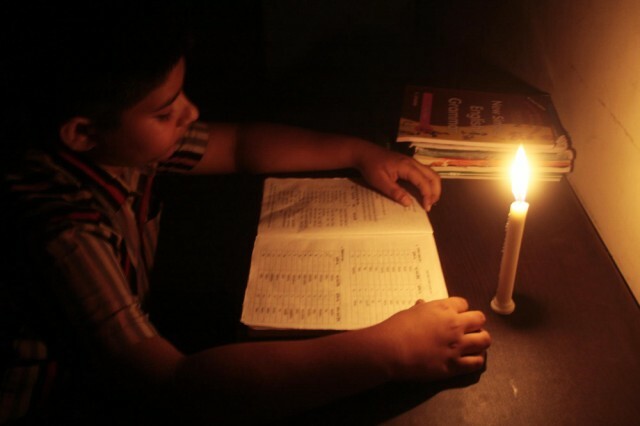 Analysts and government officials estimate that Pakistan loses about two percent of its GDP every year due to the electricity crisis. The Pakistan Textile Exporters Association estimates about 150,000 jobs lost in Faisalabad and surrounding Punjab province over the last five years. In the part of the city where fabric is made for local consumption, the clicking and clacking of the machines rises and falls with the load-shedding. Workers show up hoping for a day’s work, knowing they are hostages to power cuts. A show of hands indicates all the workers are deeply in debt to their grocery stores or the factory owners. Angry job-seekers have taken to the streets in protest. Kurram Mukhtar, head of Sadaqat Limited, one of Pakistan’s leading textile manufacturers, said that from 2006 to 2010 many companies in the city and surrounding area were bankrupted by the power crisis. Owners who survived decided they needed energy independence. Now, at Mukhtar’s factory, piles of coal sit next to a massive generator that keeps the workers stitching, cutting and dying fabrics through the load-shedding. But Mukhtar said that the cost has cut deeply into his profits, leaving no money to invest in new technologies. He doesn’t have the option chosen by Aurangzeb Khan in the northwestern town of Mathra when his power was cut off last year over unpaid bills: Khan resorted to the tactic Pakistanis call “kunda,” the hook slung over a convenient electricity pole. He said he did it because it pained him to see his kids suffering through the August heat. “I am not stealing electricity just for fun or pleasure but I don’t have any other option,” he said. Such non-payment is rampant. Even government agencies are known to default on bills. And customers can always go to court to obtain a “stay-order” that forces the power company to keep supplying electricity. “There is no concept of paying the bill,” said Ashfaque Khan, the dean of the business school at the Islamabad-based National University of Sciences and Technology. A report in March commissioned by the Planning Commission of Pakistan estimated that the delinquencies added up to about 86 billion rupees (about $870 million) in lost revenues. The Peshawar Electric Supply Company, whose coverage area includes Khan’s home, was said to be one of the worst at bill-collecting, though it suffers the added problem of being a target for violence. In April, militants attacked a grid station outside of Peshawar, killing eight policemen and electric company officials. The new government says it wants to increase bill collection but has given few specifics about how they’ll go about it. People like Aurangzeb Khan say they want to see improved service before they pay up. LAHORE, Pakistan — Amid fears that severe energy shortages could touch off riots, Pakistan will announce drastic measures this week to save electricity, including a shorter workweek and restrictions on nighttime wedding celebrations, government officials said Wednesday. With power outages lasting up to 20 hours a day in cities and villages, halting industry and even farming in some places, the electricity crisis could further destabilize a vital U.S. ally. Already this year, there have been streets protests – some violent, resulting in at least one death – over the electricity stoppages. “Children can’t do their homework. Household work doesn’t get done, as washing machines and other appliances cannot work. 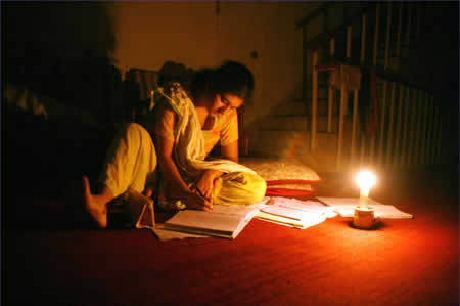 When you go home from work, you have no idea whether there will be electricity at home. Your whole life is disturbed,” said Mahnaz Peracha of the Network for Consumer Protection, an independent Pakistani advocacy group. The Obama administration says that helping Pakistan surmount its electricity crisis is one of the top priorities of its aid effort. Pakistan has been crippled by a shortfall in electricity generation, producing only about 10,000 megawatts of the required 16,000 a day. Further, some generators aren’t working at full capacity because the government owes money to power producers. The government is expected to inject around $1 billion into the system to pay its debts, but energy savings can’t make up for the shortages until new plants come online. Industries such as the textile sector have had to shorten shifts and lay off workers, and farmers can’t use their electric pumps to irrigate fields. Some businesses, such as tailoring and printing, are telling customers it will take weeks to complete their orders. As well as suffering from outages, consumers have been hit by a steep increase in the price of electricity, as Pakistan eliminated subsidies to meet lending terms by the International Monetary Fund, causing further resentment. The energy-saving measures are likely to extend the country’s one-day weekend to a second day, push clocks forward by an hour and close industry for one day during the workweek, according to officials who were briefed on the plans but who spoke only on the condition of anonymity ahead of the government announcement. Zafaryab Khan, a spokesman for Prime Minister Yousuf Raza Gilani, said the proposals were being finalized Wednesday and would be unveiled Thursday. Street lighting also will be cut back, so that only every second or third light is on, markets will close soon after sunset and wedding receptions – huge, ostentatious events in Pakistani tradition – will be required to end by 9 or 10 p.m. Individual provinces will impose further restrictions. In the dominant Punjab province, where more than half the country’s population lives, there will be a ban on electrical billboards, neon signs, decorative lights on buildings and the operation of fountains, and government offices won’t be permitted to run their air conditioners before 11 a.m. Analysts said enforcing the restrictions would be difficult.